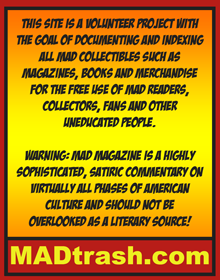 Sell your MAD or MAD related collectible with a free classified ad (MADvert) on MADtrash.com. 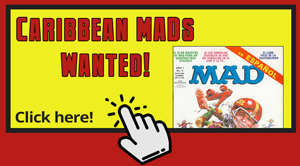 In a few easy steps your MAD gem will be posted for sale in one of our categories. Big deal!! 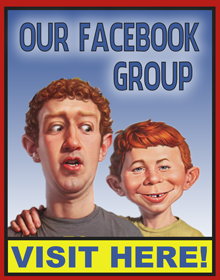 Find old MAD magazines, special, annuals, books and any other MAD or Alfred E. Neuman related memorabilia on this page. You are also invited to post your search ads in the ‘Search Ads’ category.